At Comic-con 2005, Electronic Arts (NASDAQ: ERTS) announced today that acclaimed comic writer, Mark Millar, and artist, Terry Dodson, will be joining the roster of top comic book talent, including Jae Lee, on the development of Marvel Nemesis™: Rise of the Imperfects™. Set to release this fall, the game features multiple Super Heroes™ from the Marvel Universe as well as a new set of characters created by EA called, “The Imperfects™.” Millar’s past works include the hit Marvel Comics’ series, Ultimate X-Men, The Ultimates, and Ultimate Fantastic Four, the highest-selling comic launches in the year they were released. He is also currently working on two major screenplays. EA is working closely with Millar to create the back-stories for the new family of Super Heroes as well as the story-line for the single player mode in the game. “It’s been an incredible experience to see this new family of Super Heroes come to life from initial stages of character development to the videogame screen,” said Millar. “Videogames are not all about mashing buttons anymore; they’re filled with intriguing stories and memorable characters. I’m thrilled to be a part of this project.” Dodson’s credits include Marvel’s X-Force, House of M and Marvel Knights Spider-Man. 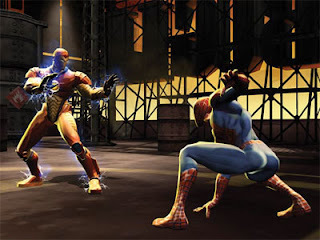 Exclusive to the PSP version of Marvel Nemesis: Rise of the Imperfects, Dodson has helped with the character concept designs of the Marvel Super Heroes appearing in the game including Spider-Man, Wolverine and Captain America. Captain America will be an exclusive character only available for the PSP. Dodson is also working on the front-end interface for the PSP version. Jae Lee is lending his artistic talents on Marvel character concept designs and the game interface for the PlayStation®2 computer entertainment system, Xbox® videogame system from Microsoft and Nintendo GameCube™ versions. Lee has illustrated high-profile comic titles including Spider-Man, Uncanny X-men, and X-Factor. Marvel Nemesis: Rise of the Imperfects is being produced at EA Canada and developed by Nihilistic Software. For more information on the game, please visit: www.marvelnemesis.ea.com. Screenshots can be found at http://info.ea.com.